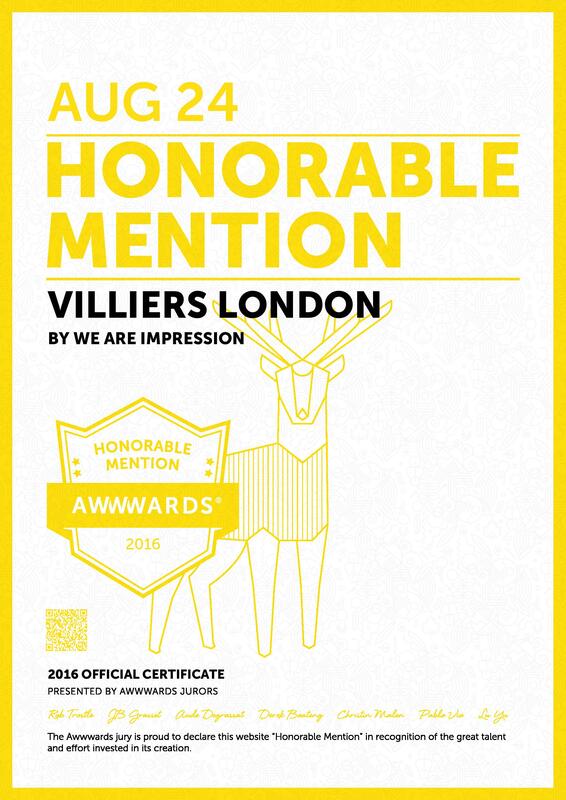 A branding & website project we delivered for London-based bespoke events company Villiers has been recognised with an ‘honorable mention’ by Awwwards. The project went through a round of public voting before being put in front of an international panel of specialists formed by the most important designers, creative directors, bloggers and agencies in the industry. The awarding system is decided through a list of judging criteria covering; design, UX/UI, creativity and content. The project received 91 votes from fellow industry professionals which can be viewed on the Awwwards site.